Notification of termination of use of electrical facilities throughout the hotel as a result of electrical equipment legal inspection. The power supply will be interrupted in our whole building for the legal inspection of electrical equipment. All electrical equipment for example elevator, TV and refrigerator etc. will be out of service in that period. To take all possible measures to ensure safety, we would like to ask for your cooperation. The check-in procedure will be started from 17:00 and guest rooms will also be available only after 17:00. If you arrived before 17:00, please leave your luggage in 1st floor of our hotel. In the interruption of the power supply period, all the electrical equipment will be stopped, including the elevator and TV etc. In this period, please refrain from going in and out. Choose Hotel Gracery Sapporo to make your stay in Sapporo the most pleasant experience it can be. 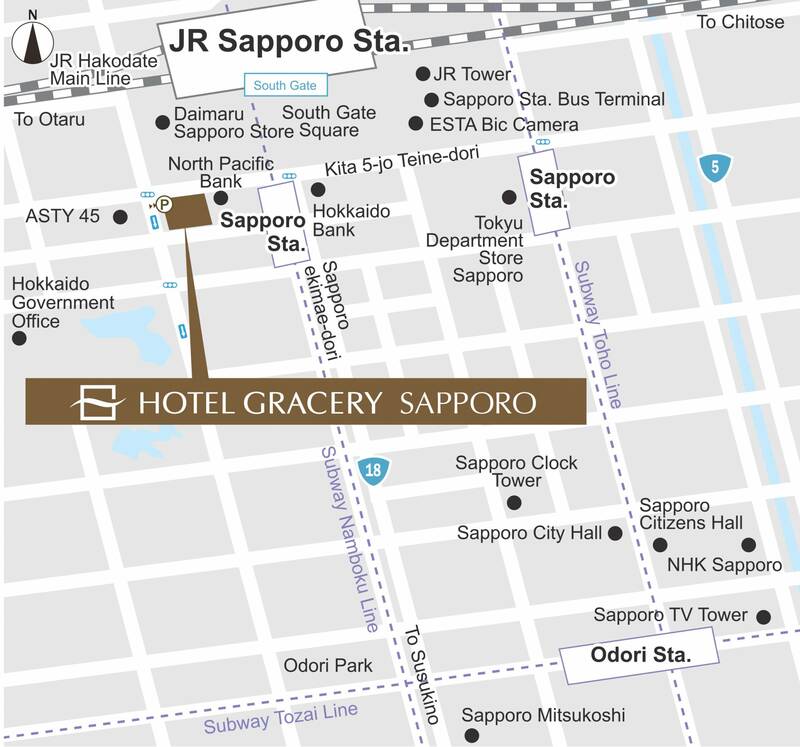 Hotel Gracery Sapporo is connected to Sapporo Station by the underground station shopping plaza. All guest rooms have an elegant interior and modern facilities, including an excellent security system. A luxurious semi-double bed is prepared for the standard single room. We also have a floor exclusively for female guests.